When you are leading one of the world’s largest organizations with hundreds of thousands of employees you need a unique vision to succeed. 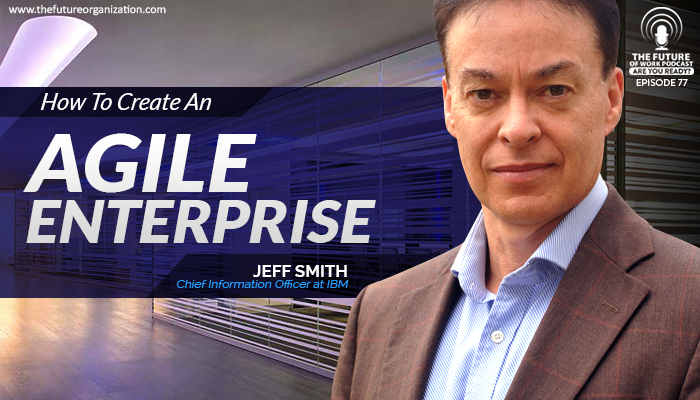 Jeff Smith, the Chief Intelligence Officer at IBM, has two major missions as CIO. First, to enable a productive work environment and second, to lead the deployment of an agile culture throughout the company. Jeff recently filled me in on the concept of an agile enterprise and how it is shaping the way we work. With the world changing at such a fast pace, organizations and employees must be agile by continuously adapting to situations, addressing problems, and reevaulating progress. This is important for leadership, collaboration, and delivery practices to allow organizations in any industry and of any size to be more successful. Non-agile enterprises run with a fixed plan as though things won’t change when we all know that there is no certainty in life! So when a problem arises, the plan is ruined versus an agile enterprise that can adjust the sails to go with the flow. The main benefits to creating an agile enterprise are broader based skills and increased engagement. Employees have more autonomy and purpose which drives engagement. It is necessary to have a supportive mechanism to transform into an agile enterprise. At IBM, they have an academy with 30 courses that are individual and team based. They also have agile coaches that help put concepts into place. The role of technology is central in an agile enterprise. IBM has it’s own social network and a strong search environment. Collective intelligence is valued as it will always outweigh individual insights. 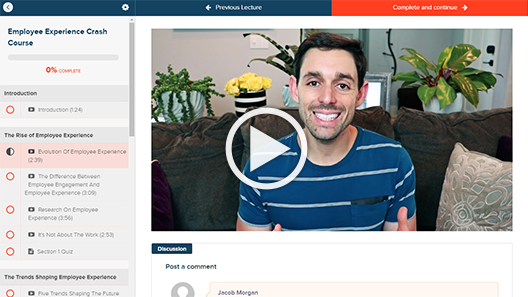 According to Jeff, a fundamental piece of creating a high performing culture is people learning from each other.